Our clients can avail from us Slip Sheets that are environmental-friendly and recyclable at a premium value. 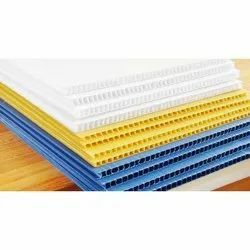 These can alternatively used for wooden pallets for shipping and handling merchandise. The sheets are durable and flat with the load bearing area doubling up as the platform for unitizing. We introduce ourselves as the leading manufacturing, exporting and importing of EVA Cushion Packing. - Specially designs Foam cushion cavities for different types of components. This ensures safe and reliable handling of the components in the Plastic Corrugated Box. Material composition:diagonally braided from pure graphite yarn with a minimum purity of 99%, treated with corrosion inhibitor and pure graphite powder. Properties:high performance packing for pumps and valves, primarily intended for high pressure- high temperature steam valves and similar difficult sealing applications. 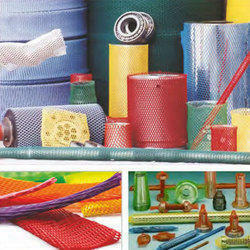 We are able to bring forth an astonishing range of Transparent Packaging Material. Basically preferred for the purpose of safe packaging of several food items as well as other kind of products also, the offered packaging material is manufactured with pristine quality polythene in strict adhering to set international standards.